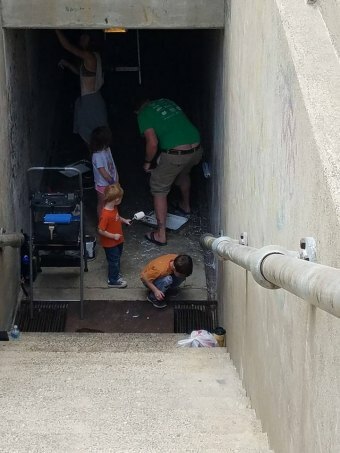 The old tunnel which once allowed workers to walk under tracks to the Owens Illinois factory has been given a new lease on life with a fresh paint job and cleaning of debris. Thanks to: Dwayne Wood of Heroin Hearse , the Paddock Club Lowes Of South Point , Rio Grande , Tina Brooks, and the men and women who volunteered. Click on the Gator below for the You Tube video.